Even if your business is located in a small commercial building, it’s best that you leave all painting jobs to an expert rather than try to take on the job yourself. There are plenty of DIY resources out there, but none of them can replace the knowledge and experience professional commercial painting contractors bring to the table. Let them handle all aspects of the job rather than put yourself (and your company) at unnecessary risk. It’s an irrefutable fact that painting contractors know what they’re doing, which saves a lot of time and possibly even money, both of which you can funnel back into your business rather than potentially waste trying to paint your business’s exterior yourself. On a related note, contractors have resources and connections that you don’t to ensure a final job well done. Besides painting, commercial painting contractors may offer supplemental services to bring out the best in your building. For instance, your waterproofing system could be in need of some upkeep. Or perhaps your grounds could use a good power washing. A contractor could take care of such jobs for you, further enhancing the overall aesthetic of your organization, which customers and clients are sure to love. There’s a right way and a wrong way to go about a seemingly simple painting job. Contractors know just what method will work best for your particular commercial building to better guarantee the results you desire and deserve. 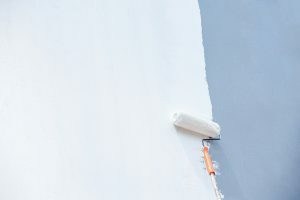 Depending on the type, age and even the geographic location of your business, you may need to tweak the approach to painting the site so your new coat of paint lasts for as long as possible. Now that you understand just what you have to gain by hiring a commercial painting contractor, be sure you let one pave the way to business success. Reach your business potential with the expert help of the pros.